The University of Chicago Magazine has a great article about the hidden reforestation going on in a great many deforested places, and why our official attitude about nature has made it hidden. The trees are right out in the open, but they're not the kind of growth that top-down thinkers appreciate. Submitted by Constant on Sat, 2008-10-04 21:06. It's a pretty long article. What's the nutshell version? Where are these secret trees? People's back yards? Submitted by Curunir on Sun, 2008-10-05 13:20. The hidden trees are in "hedgerows, backyard orchards, coffee groves, trees growing along rivers and streams, cashew and palm plantations, saplings sprouting in abandoned fields, and heavily wooded grassland." I wish they had some more numbers though. I'm aware that reforestation is definitely taking place in the U.S. (like in this map here), but I'd be curious to see it for the world. It's a long article, but well worth a skim at least. Submitted by Richard Stafursky (not verified) on Thu, 2009-02-12 08:17. Lauding that so-called "new conservation" again? "Can’t See the Forest for the Trees", 2008 The University of Chicago Magazine ? I don't think so! Agriculturalist and foresters know they needlessly harm the natural landscape. They know they grow crops that are for the rich. They know they needlessly expand acreage beyond what is essential for profit. Now forest destroyers are getting help from naive writers using biodiversity lingo and who think that it is okay to pillage because the land has already been pillaged. Try using that type of excuse in front of a family court judge who has a backlog of chronic abuser cases. There is no excuse for repeat offenses against native species. You and I need to stop thinking about grooming the Earth and start returning acres to the control of natural forces. Submitted by Curunir on Thu, 2009-02-12 11:10. I don't see any reason to be constricted in our vision, Richard: I support not only grooming and pillaging this planet to reap obscene profits, but anywhere else we can reach in the galaxy too. Submitted by Richard Stafursky (not verified) on Thu, 2009-03-12 17:53. Yes, all secondary forest can return to the natural landscape, that is, return to the control of only natural forces. Just look at the northeast of the USA. 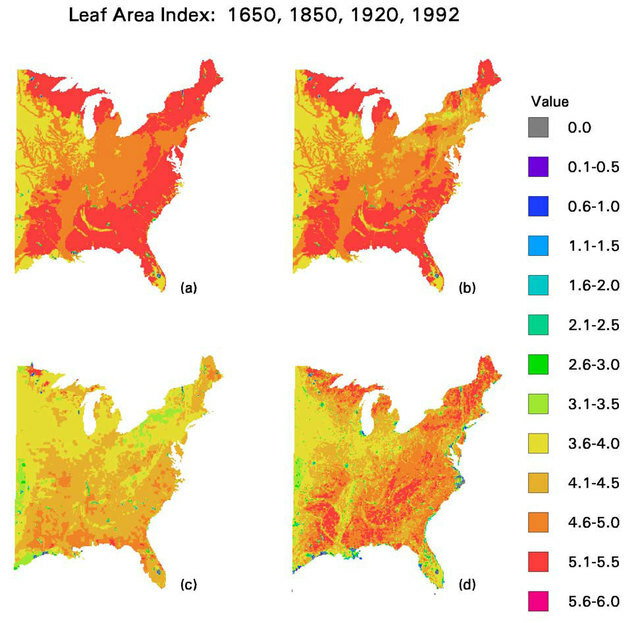 And with the discovery of new energy sources and transportation services the forest canopy returned ... after 150 years! Does it take less than 150 years to grow a 150 year old tree in the rain forest of Brazil? What I'm saying is that the new brand of ecologists and environmentalists that fill university classrooms would rather have good paying jobs helping the food and fiber industry get permits to move into natural landscapes rather than speaking for the surviving forests. One way to get these jobs is to have a philosophy that we must groom the Earth from scratch. It's done and it might as well be dead? Although trained in the above professions I chose a different path. Follow the money? Nope. Any environmental job that pays a good wage in the USA is, I assure you, pandering to the environmental ripoff businesses. The tropics can't be that different a businessophere.